The comical cat who loves to rock out in farm gear is back! 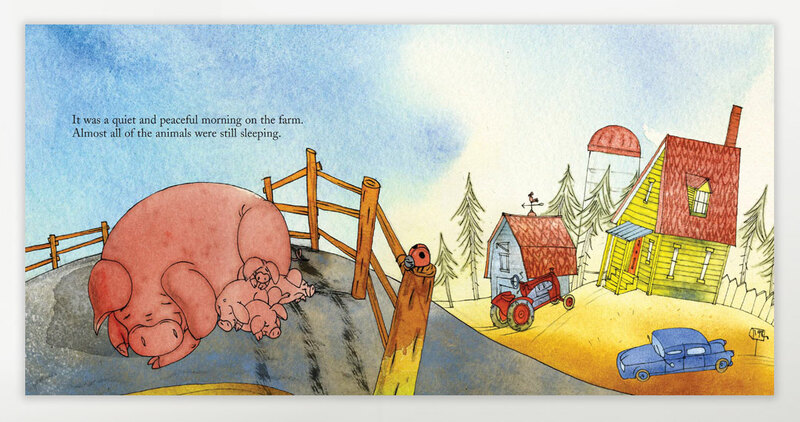 It’s a special day for the hen house-loving friend, Chicken Joe, but he can’t recall why. 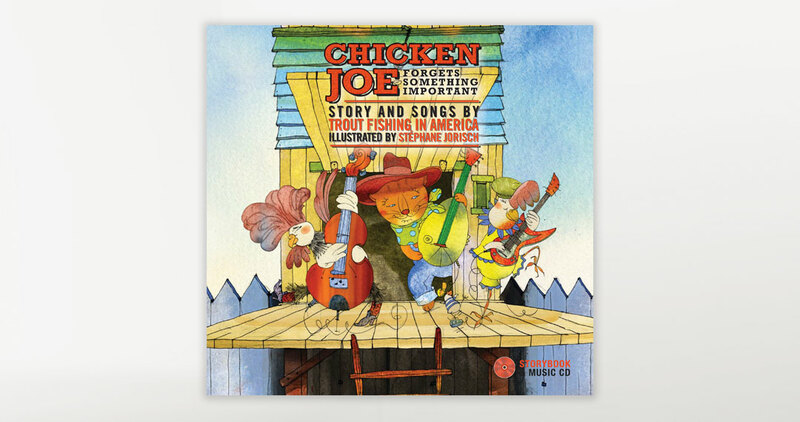 After an abrupt awakening by his neighbours, the Rock and Roll Roosters, Chicken Joe sets out on a quest to figure out what it is he needs to remember. 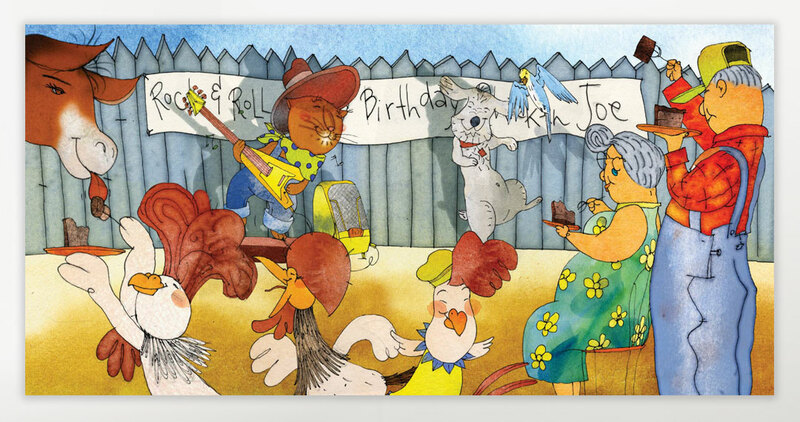 Loyal friends who love him such as Helen and Hilda, the hens; Miss Kitty, the city dog; Mister, the mule and King Kong, the parakeet, conspire to keep the delightful secret that it’s his birthday. 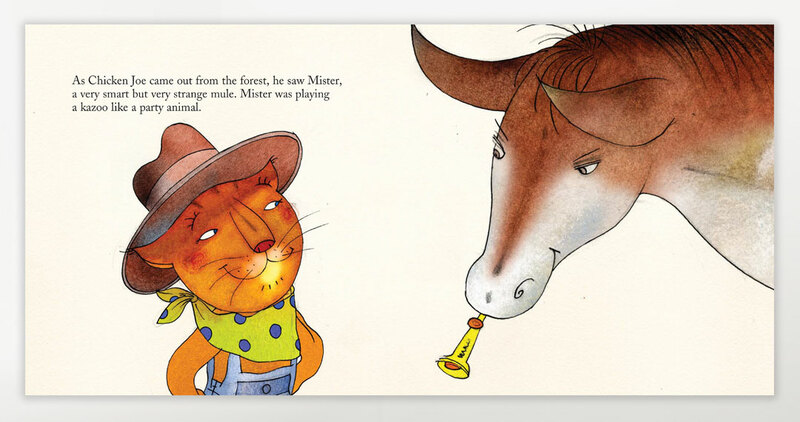 The accompanying CD offers a collection of 11 fun sing-along songs along with the narration of the story.